Owen contemplates his next beer. 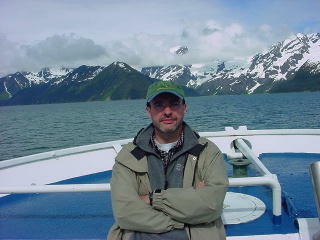 Aside from the mosquitos, Alaska is a beautiful place to visit in the summer. Kerri and I flew into Anchorage early in June of 2002 (just ahead of the big tourist rush), rented a car, and made our way north to Fairbanks on the Parks Highway for the next two weeks. Along the way, we encountered gorgeous scenery, interesting wildlife, delicious salmon, and some remarkable brewpubs and beer bars. The pub information below follows the route of our journey -- we hope you will have the chance to experience some of these great beers and beer establishments soon! Call ahead for opening times and keep in mind that this list does not contain all the great beer pubs in these areas -- only the best of the ones we had time to visit. This is a big page, so be patient and read on! 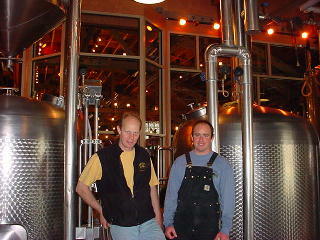 Cleveland, OH 2002 Craft Brewers Conf. This beautiful brewpub sits near the center of downtown Anchorage. 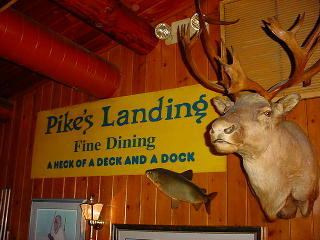 Its size, attractive lodge atmosphere, food menu, and beer quality are all very impressive. Diners can enjoy delicious wood grilled meats, salmon (served three ways), pizza, and pasta -- all prepared in the sparkling open kitchen. Around eight house beers are usually on tap with one chosen to be served from cask. Standouts were definitely the Amber Ale (subtle resiny hop and fruit notes), Hefeweizen (complex, authentic clove and banana qualities), Honey Maibock (hints of honey, malt, and alcohol), and the Beam Stout (aged in Jim Beam oak barrels). The cask beer when we visited was a smooth, roasty, powerful Imperial Stout. What a marvelous place! 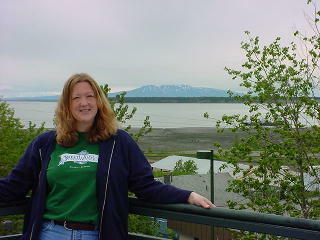 Sleeping Lady is actually a nickname for Mount Susitna (which is visible from the deck of this brewpub). The menu here features fresh Alaskan seafood, steaks, pasta, burgers, pizza, and a large selection of appetizers. 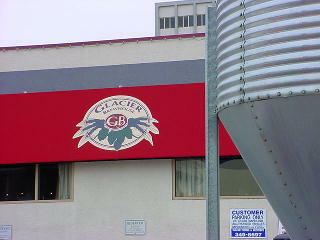 This is a large brewpub that takes up two floors of a waterfront building in downtown Anchorage. The darker house beers seemed to have more personality and appeal here at Snow Goose -- with the Stout, Scottish Ale, Porter, and Barleywine being the standouts. 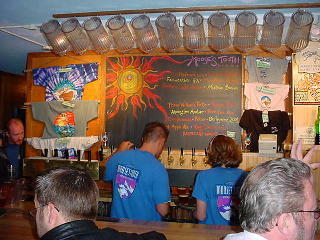 Other beers included a Golden Ale, Pale Ale, IPA, Scottish Ale, and Mild Ale. This is quite a fun and attractive place. 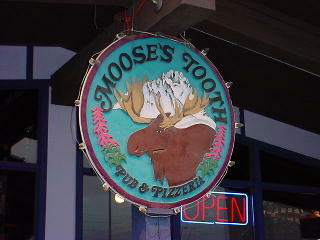 The folks who own this pizzeria pub also run the Moose's Tooth microbrewery located near downtown Anchorage in the warehouse district of Ship Creek. They also have beer and fresh food in a full-feature movie house at their Bear Tooth Theatre Pub. The Pizzeria is just a short taxi ride from downtown on Old Seward Highway and boasts some of the best tasting pizza and beer Kerri and I have ever enjoyed. Patrons may choose from over 42 styles of unique, hand-tossed, stone-baked pizzas to enjoy with wonderful beers such as Fairweather IPA (very hoppy and bold), Prince William's Porter (dark and full-bodied), Hard Apple Ale (refreshing with lots of apple character), Dopplebock (dark brown and malty), and Barleywine (fruity, malty, and powerful). Don't miss Moose's Tooth! 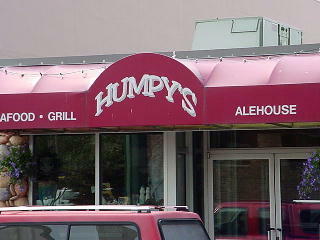 Humpy's has one of the very best beer selections in Anchorage. All of the regional micros from Alaska can be found here along with a smart selection of some of the best draft and bottled beers from the lower 48 states and Europe. 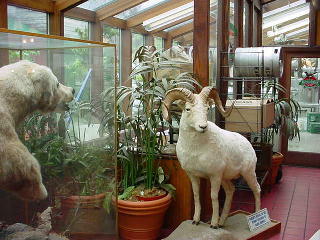 A "humpy" is a type of salmon (so we gather). The kitchen serves up basic seafood dishes and pub fare. Regal Eagle is just north of Anchorage on the way to Wasilla. It's an eccentric little brewpub with antiques, old photographs, ornate metal ceilings, and stuffed animals just outside the glass enclosed brewhouse. 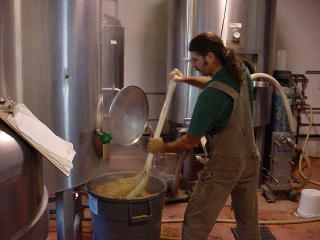 Brewer Ken Stevenson's signature beer is the Copper River Amber. His other beers included Snowy Creek Lager (grainy, bread-like, refreshing), Elmendorf IPA (crisp and smooth, but not quite hoppy enough for style), and Oil Rig Oatmeal Stout (rich, roasty, and slightly smoky with a big mouthfeel). 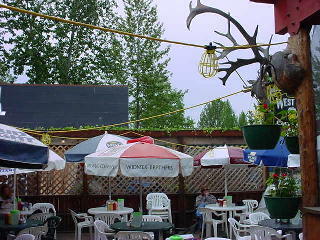 Tucked away in Wasilla (a tiny suburb of Anchorage) is the northern-most brewpub in America! Great Bear has excellent food (the almond/honey salmon and fried halibut are superb) and some of the best beers I've ever tasted. 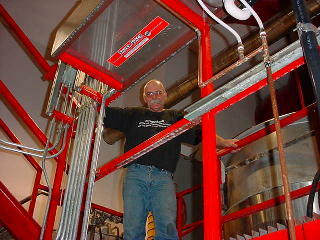 Head Brewer, Jay Kelley, visited from Athens, Georgia in 1996 on vacation and never left Alaska. Nine house beers were on tap when we visited and the standouts were the Hatcher Pall Pale (delightful blend of hops), Archangel Amber (UK hops with a balanced blend of malts), Wasilla Wheat Ale (an American Wheat Beer dry hopped with floral/citrusy Crystal hops), Big Su Strong Ale (8% alcohol by volume with 25% cane sugar), and Skwentna Stout (perfect roasty, dry, mineral-like Stout). 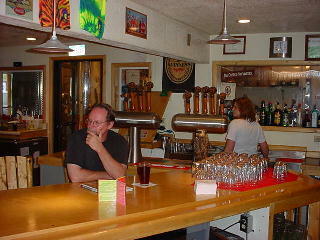 If you ever have a chance to visit this brewpub, you'll immediately see why it is so popular with the locals. in all the Great Bear beers. 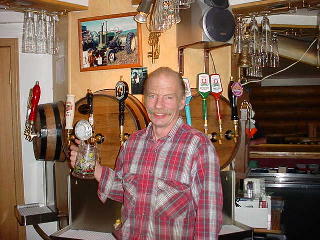 Who would expect to find a first-class German pub perched on a scenic hilltop in Wasilla, Alaska? Schwabenhof serves bratwurst, kraut, pretzels with cheese, and scrumptious beers including Franziskaner Hefeweizen, Spaten Optimator, Aventinus Weizenbock, Ayinger Celebrator Doppelbock, Alaskan microbrews, Belgian Lambics, and more! If you enjoy flavorful beers, you could spend an entire afternoon at Schwabenhof. Tiny Talkeetna is crawling with mountain climbers. Located behind a small general store, the West Rib is a popular spot for climbers, locals, and tourists alike. Here you can enjoy great microbrews from Alaska (including a high-alcohol blonde ale made at Glacier Brewhouse in Anchorage). The fish and crab sandwiches are amazing and the patio is very inviting (at least in the warm months). Pool tables and dart boards are inside along with a rock climbing wall across from the bar! 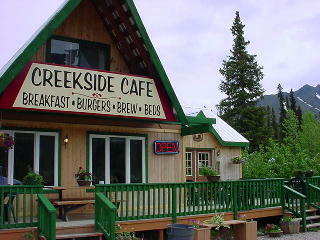 If you are on your way to the Denali National Park region, Creekside Cafe offers reasonably priced cabins, nice food, and a half dozen good bottled beers with imports and regional micros. They serve breakfast, lunch, and dinner. Denali National Park is about 13 miles north of Creekside. 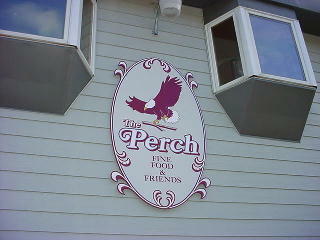 The Perch has excellent Alaskan seafood -- including some of the largest king crab legs I've ever seen. This establishment is also fun because of the home-baked bread, big picture windows, and Alaskan Smoked Porter on draft when we visited. The food is a bit pricey, but worth it. 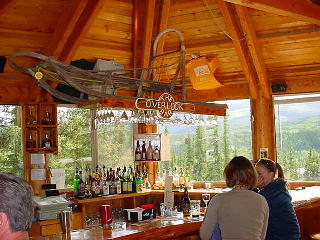 This place has the best beer selection in the Denali area and is perched on a hill overlooking the trees and mountains. 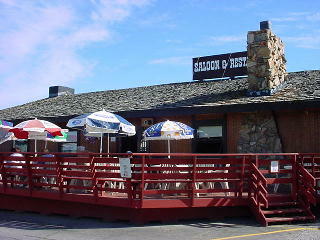 It is a beautiful pub and restaurant with vaulted ceilings made of rustic lumber. The food is good and the beer list goes on and on with eight or nine regional draft selections and almost 70 bottled beers heavy on selections from Alaska and the western U.S. This microbrewery has a bar up front with pool tables and electronic darts. 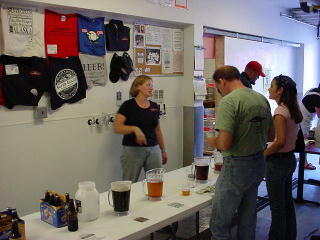 They also hold an open tasting in the brewery area with free tastes every Friday at 5 PM. Out in the wilds of northern Fairbanks/Fox, Silver Gulch is a beer oasis. Dan Unkersco is the master brewer (pictured to the right) who does a great job with their Pickaxe Porter, Amber Ale, Amber Lager, Oatmeal Stout, Pilsner, and seasonal brews. 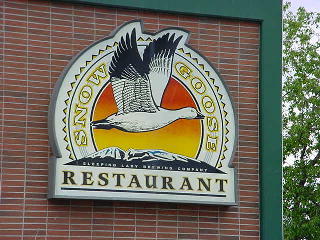 Look for Silver Gulch beers in good beer pubs throughout Alaska. This is a very casual bar and restaurant with peanut shells on the floor and a big pub menu. They serve breakfast, lunch, and dinner. The beer list features five or six local craft bottles and six good draft selections. Beer prices are a bit steep, however. 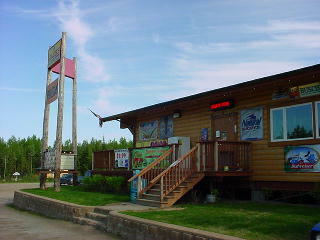 A huge restaurant, pub, and deck make up Pike's Landing on the Chena River. The food is outstanding and upscale, and the Sunday brunch is quite popular. Fifteen draft beers are on tap here and twelve of these are good regional, craft beers from Alaska and the Northwest United States. The deck on the river in summer is awesome for Alaskan sun worshippers. Goldstream Road runs through a valley just a few miles north of Fairbanks. Here you can enjoy a great beer with your steak, seafood, sandwich, or pizza at Ivory Jack's. This nice roadside tavern is a big, open pub with a sports bar theme. The bottled beer selection is very good (and ever changing) with 34 or more microbrews available most days. There are dart boards and live music too. Want to receive our informative E-mail Brewsletter?